Koihime Enbu RyoRaiRai is a fighting game with an all-female cast set in ancient China during the turbulent Three Kingdoms period. Warlords(ladies?!) from rival factions battle it out for their kingdom, personal glory, and more! 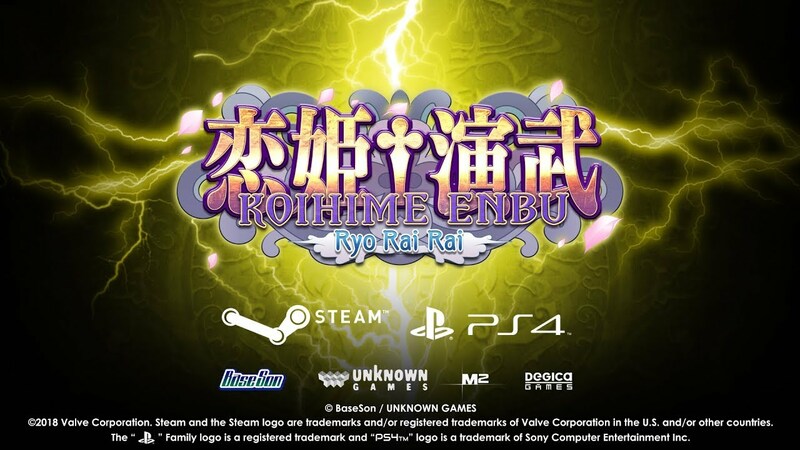 Koihime Enbu RyoRaiRai is the culmination of extensive updates to the arcade game to rebalance and provide an even an experience even truer to the original’s concept of being a universally accessible fighter. Genre veterans will find familiar, streamlined tools at their fingertips allowing them to jump right in and discover everything the game offers, Beginners will find easy to handle controls with training and challenge modes to improve their skills in readiness for battling online and off. The Hougeki (Fatal Counter) system allows players the freedom to cook up their own combos, mixing ingredients like EX Special Attacks, Ougi and Hiougi: the cookbook is yours to command! And with the freedom to add the spice of your choice to the mix with a selection of strategists (“assist” characters), this series update expands on the already winning recipe. So get ready for the kind of epic battles you'd expect when warlords of ancient China clash! Mix and match 14 different characters and 8 strategists to give your battle plan even more freedom! Use the Hougeki system and careful management of the Tactics Bar to create devastating attacks and combos! Special moves, EX special moves, super moves, and ultimate moves! Or battle friends locally and challenge the online rankings with matchmaking! Practice in Training Mode then see if your new skills can best Challenge Mode! Relive past glories or learn from your defeats with Replay Mode. Comprehensive rebalance based on the latest arcade version of Koihime Enbu RyoRaiRai.